Jesus journeys from the Mount of Olives down into Jerusalem. He rides a donkey. Nearly 2,000 years later, the average reader may not pause to contemplate this image—its oddness, its humor, its political theatrics, its peaceful message recalling certain Jewish prophecies about the coming of the messiah, and yet contradicting the image Jews and others had of God. Yet, if we take the whole story at face value—Jewish and Christian scriptures together as one, long, seamless narrative—this is God. Or, as the Book of John says, Jesus is “the Word [that] was God.” This is the creator, the divine warrior, the lawgiver, the Lord of Hosts making a “triumphal entry” into the holy city, not in a chariot, not in a palanquin, not on some mythical beast, lion or war horse, but on a donkey. Why is the creator of the universe riding this stubborn, ungainly and, perhaps to some, humiliating mode of transportation? A more fundamental question: Why crucifixion? Why such a demeaning, disgraceful, bloody execution per order of the Roman authorities? Why not raise up an army out of the Galilean dust and destroy the Roman legions, just as he had destroyed Pharaoh’s army a thousand years earlier? His power is infinite. Why choose powerlessness? These questions come courtesy of Fred and Phil Sawyer, who purchased this sermon at our 2018 goods and services auction. Last spring Fred and Phil had me preach on Jack Miles’ 1995 book, God: A Biography. This year it’s Miles’ 2001 follow-up, Christ: A Crisis in the Life of God. Miles is Professor Emeritus of English and Religious Studies at the University of California, Irvine, and Senior Fellow for Religion and International Affairs with the Pacific Council on International Policy. He presents God not as the God our Jewish and Christian siblings worship, not as God deconstructed through modern Biblical criticism, but God as a literary character. Miles isn’t a Biblical literalist. He doesn’t approach the Bible as a factual record of events. He also isn’t doing modern historical criticism. Historical critics ask who wrote a particular biblical book, where, when and why they wrote, what social, cultural and religious forces impacted their point of view, who their audience was. Instead, Miles treats the Bible as a long story in which God is the protagonist. He takes the story at face value. Whatever God says or does, that’s what he works with. This is neither the Jesus of Christian faith, nor the historical Jesus. This is Jesus the literary character. And a great character has the power to teach us something about our very human selves, even if that character is God. In God: A Biography, Miles tells the story of God in the Hebrew Bible, or Tanakh, in which, after the book of Job, God is essentially silent. People speak about him, but he speaks no more. Miles describes him as a sleeper, a bystander, a recluse. He wonders if God has grown weary of his deep inner turmoil in relation to humanity. 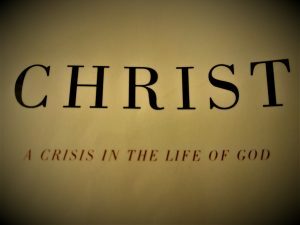 In Christ: A Crisis in the Life of God, Miles tells the story of God in the Christian New Testament as a response to his silence at the end of the Tanakh. We discover the root of God’s inner turmoil: He has not kept his promise to his people. His promise was big: land, nationhood, prosperity, victory in battle, innumerable blessings and, for later Jewish exiles, a glorious homecoming. But God hasn’t delivered. Miles says, “the action of the New Testament begins with the memory of a broken promise” The Book of Luke, chapter 3, in describing John the Baptist, repeats the promise as proclaimed by the prophet Isaiah: “Clear the way for the Lord! / Make straight his paths. / Let every valley be raised, / Every mountain and hill lowered, / The crooked made straight / And the rough smooth / So that all flesh will see the salvation of God.” But Isaiah spoke these words 700 years earlier. “Isaiah,” says Miles, “describes a triumphal march that never occurred. Mountains were going to be leveled and valleys filled to create a parade route for the Israelite exiles marching home from Babylon—but the parade was cancelled. The exiles to whom the Lord spoke through Isaiah did not return home in glory. Many of them never returned at all, and those who did merely exchanged one imperial ruler for another.” Now, with Roman oppression steadily worsening, God’s unfulfilled promise has led him to a moment of crisis. What does he do? He appears on earth. Not as a burning bush, a pillar of cloud or fire, or a whirlwind—nothing dramatic. He joins humanity the way all humans do. He is born. An innocent, helpless baby. Furthermore, he is born into a family and a nation experiencing a great humiliation: the Roman census. Miles says, “In ancient Israel, it was a grievous sin … to conduct a census, perhaps because the practice of people-counting was understood to be … connected … with taxation and forced labor.” King David once conducted a census. God was so angry he sent a pestilence upon Israel, killing seventy thousand. In subjecting Jesus and his young parents to the census, the story emphasizes their helplessness in the face of an onerous foreign power. Because it is a census of the whole world, the story “makes clear that it is … not just the Jewish condition God is taking on … [but] that of all oppressed people at the mercy of officious power.” In response to the crisis of his broken promise, God comes as a helpless infant, born to helpless parents, living in a helpless nation. John the Baptist, announcing the coming of the messiah, calls Jesus “the Lamb of God who takes away the sins of the world.” As Miles says, “A lion would be more to the purpose, a rapacious and terrifying cat.” But no, Jesus is a lamb, implying gentleness, meekness, innocence. But wait—the Baptist also says “He will baptize you with the Holy Spirit and fire. His winnowing fork is in his hand, to clear his threshing floor and to gather the wheat into his granary; but the chaff he will burn with unquenchable fire.” Not so lamblike. What’s going on? 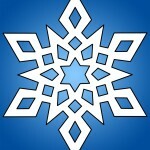 Two Jewish traditions are merging in this character. First, the Baptist’s Jewish audience would be familiar with the practice of sacrificing a lamb for the expiation of certain sins. What sins? We might call them sins you can’t do anything about, sins that are part of the human condition, like bleeding during menstruation or living with certain diseases, like leprosy These aren’t sins one commits. We can more accurately describe them as natural conditions, often associated in ancient times with words like ‘unclean’ or ‘impure.’ The Torah requires such “sinners” to make amends to God, often by sacrificing a lamb. Miles points out that such sins harken back to the first time God cursed humanity, sentencing them to endless labor, painful childbirth, and death. The book of Leviticus describes the ritual sacrifice required to make amends for the “sin” of leprosy. Miles says “the ceremony functioned as expiation not really for any sin of the leper himself but effectively for the sin that brought that [original] curse.” Thousands of years later, God has still never reversed those original curses. People were essentially helpless in the face of them. “The lamb of God who takes away the sins of the world?” Wait, what? Is he to be sacrificed? This is the tradition of the messianic warlord coming to liberate! Jesus is both the lamb and the warlord. Miles calls them “two native Jewish ideas made daring and new by unforeseen combination,” though the reader doesn’t know yet how this combination will unfold. What we know is that Jesus has come to the river for baptism. He has come to repent. But this is God. Repent for what? What has he done wrong? Ah, he hasn’t kept his promise. And apparently he isn’t going to. He can’t. That’s the realization that lives at the heart of his crisis, the reason for his repentance. As Miles says, “If [God] cannot defeat Israel’s enemies … then he must admit defeat.” This admission makes way for new possibilities. Miles says, “Instead of baldly declaring he is unable to defeat his enemies, God … now declare[s] that he has no enemies, that he now refuses to recognize the distinction between friend and foe. He … announce[s] that he now loves all people indiscriminately, as the sun shines equally everywhere, and then urge[s]—as the law of a new, broadened covenant—that his creatures extend to one another the same infinite [love] that henceforth he will extend, individually and collectively, to all of them.” This is his solution to the sins that people commit. He’s no longer telling them what they “shall not do.” He’s telling them what they shall do: love your enemies, do good to those who hate you, bless those who curse you, pray for those who scorn you. If someone slaps you on one cheek, turn the other cheek as well.” The messianic warlord is taking on characteristics of the lamb. This is a radical change in God’s identity, so radical that it troubles the Romans. But why should the Romans care? After all, Jesus is not a militant. In fact, he preaches “render unto Caesar that which is Caesar’s.” At times he upholds Roman law instead of the Torah. Jesus’ concerns, it turns out, are larger than Rome. Miles says, “The Lord is playing for higher stakes.” Throughout the story Jesus heals paralytics, lepers and bleeding women. He raises the dead. He does not say, “you are healed.” He says “your sins are forgiven.” He’s referring to those original curses God has never rescinded. People still suffer and die because of his curses. This is a deeper dimension of the crisis. Can he resolve that? Can he somehow transform the human condition that has resulted from his curses? It’s a powerful story. And like all great stories, it tells us something about ourselves. It reminds us there are two kinds of suffering. One is the suffering humans inflict on each other, the suffering of injustices embedded in systems designed to privilege some and exploit, marginalize, disempower, abuse, and even destroy others. The second is existential suffering, the suffering inherent in our living, the suffering that comes from illness, loss, and death. Both kinds of suffering can generate crises in us, and thus there is a deep yearning in us to transcend. Ad so we try. We try, each in our own way, to bring love into the world, instead of hate, instead of violence. Sometimes we fail. Sometimes our love makes all the difference. But then there is that pesky problem of death. What are we to do about death other than learn to accept it as the final stage of our very human lives? Might we live again? That’s a question of faith. Where did the resurrection story come from? That’s a matter for the historical critics. Do we long to transcend suffering? A good story speaks to that longing. In the end, we aren’t God. But sometimes it’s nice to imagine how sweet eternity could be. Miles, Jack, God: A Biography (New York: Vintage Books, 1996). For information on Jack Miles, visit his website at http://www.jackmiles.com/. Miles, Jack, God: A Biography (New York: Vintage Books, 1996) p. 404. Isaiah 40:3-5 quoted in Luke 3:4-6. For example, see Leviticus 14 for instructions on how to make amends for the sin of leprosy.